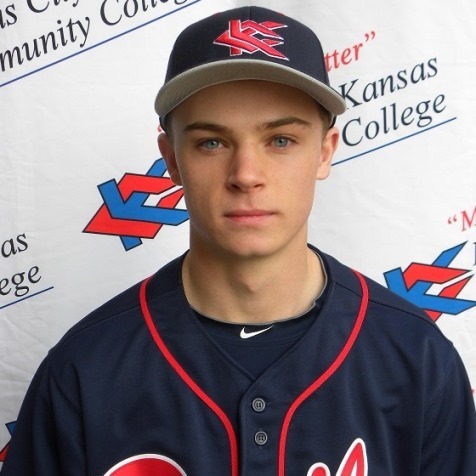 Two-out grand slam rallies KCKCC to dramatic 7-5 win – Welcome to Wyandotte Daily! One of the most dramatic blows in Kansas City Kansas Community College baseball history has put the Blue Devils in position to open the Region VI playoffs at home. Just one strike away from a 5-3 loss to Allen County Saturday, freshman Daniel LaMunyon delivered the ultimate in blows – a grand slam home run on a 1-2 pitch that lifted the Blue Devils to a 7-5 win in the bottom of the ninth. Coupled with a 9-1 win in the 7-inning opener, the Blue Devils (33-18) can earn a home playoff berth against Seward (29-26) Saturday with a sweep of a 3 p.m. doubleheader at Allen County today. Anything less and the Blue Devils will have to make a 5-hour trip to play Colby (28-22). A double elimination playoff, two games will be played Saturday with a third if necessary on Sunday. Zane Mapes started the winning rally by drawing a leadoff walk. One out later, Tyler Raymond was hit by a pitch and Garrett McKinzie singled to load the bases. Christian Arnold, who had homered in the first game, flied out for the second out before LaMunyon’s game-winner. The blast made a winner out of reliever Derek Watkins (4-0), who gave up only a walk in three hitless innings. KCKCC jumped in front 2-1 in the second on singles by LaMunyon, Alex Thrower and Mapes and made it 3-1 in the fourth on a pair of Allen errors. Hunter Phillips (8-5) limited the Red Devils to just three hits and an unearned run over the first five innings only to have Allen score four times with two out in the sixth on four hits and three walks. Geoff Birkemeier (6-4) turned in his ninth complete game of the season in the 9-1 opener, allowing just five hits, striking out three and walking none. The Blue Devils backed him with nine hits including two each by Arnold, LaMunyon and Mapes. KCKCC scored three times in the first on just one hit, a run-scoring single by Mitch Glessner and sacrifice flies by McKinzie and Arnold; added three more in the second on hits by Mapes, Arnold and LaMunyon and a pair of walks; and then put the game out of reach on Arnold’s team high 10th home run of the season following a double by Luke Norton and a single by Raymond.